We thought some of you might be wondering what is happening with our plans for Better, so here is a quick update. We have registered a company, Crafty Humans, and have been scuttling like busy spiders through a jungle of administrative tasks with CIPC, SARS and a bank, getting things set up. It’s a slow process and not the most fun part of starting a business. Over many cups of tea (Judy) and freezochinos (Andrew) we have mapped out the services that Better can offer, the creative domains we want to cater for, and how we want to see it working. We have lists of everything (courtesy of workflowy – you should try it) and one spreadsheet for the financial stuff. We are working on the operational elements (like how members will sign up), developing a web site and sourcing furniture and equipment. We also interviewed for and found the perfect receptionist for Better. Can’t tell you who just yet, but she is as excited as we are and waiting for it all to come together. We have also viewed many, many, many properties looking for a home for Better. Since the physical building is key to what we want to offer, we are putting lots of time and energy into the search. There are a lot of office spaces that are just too much like offices, and we turned down a tempting offer for a “creative space” remembering that we want a gentle space, with real grass (thanks, Patrica). This search has proved to be the most difficult part and is frustratingly slowing down our plans. It’s a tall order. We want about 250 to 300 sqm, with a garden and lots of parking, somewhere in the vicinity of Rosebank / Greenside. We are investigating zoning laws to see if we can expand our search beyond properties zoned for business, and are looking into the feasibility of buying rather than renting, to give us greater choice. If you know of anything that might be suitable, please let us know. Meanwhile, thanks for all the encouragement. Please share with us your wishes and ideas, we’ll share more of our plans as we go along. 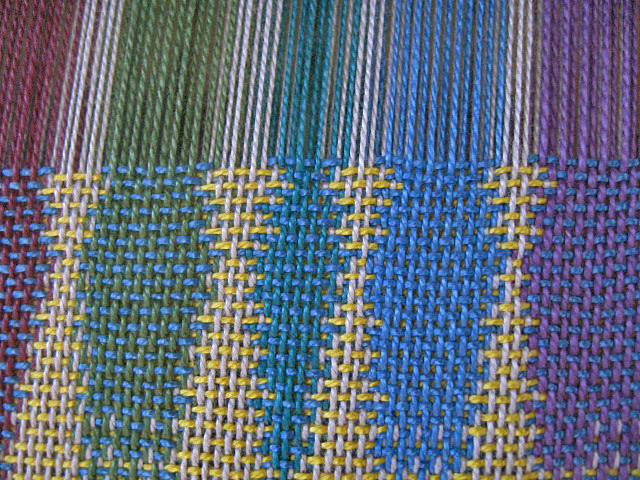 The picture with this post is used with the kind consent of Eva Stossel, a weaver, whose blog (https://evasweaving.wordpress.com/) will inspire you.